Great location! 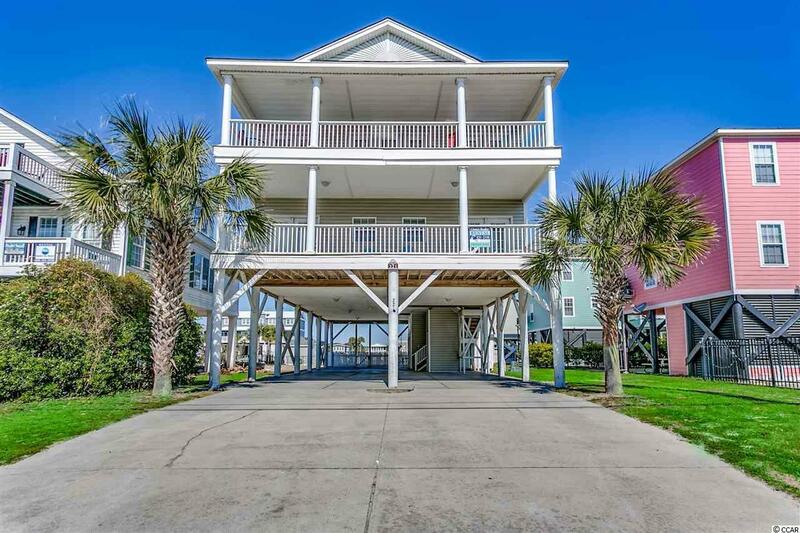 Walk across the street and you're on the beach or walk to the Garden City Pier for fishing, ice cream and entertainment. If you would rather shop, grab a bite to eat or take your children to the arcade and amusement areas, there's no problem. You can find it all on Atlantic Ave. This 7 bedroom, 7.5 bath home's second row location featuring a massive open living area, 4 covered porches running the length of the home, a private heated 12X24 pool and a ground elevator accessible to all levels make this property a strong contender for the discriminating buyer. As you enter the first level of the property, you will note the inverted floor plan. A large hallway with wet bar, huge owner's/linen closet and laundry closet housing a full size washer and dryer welcomes you. 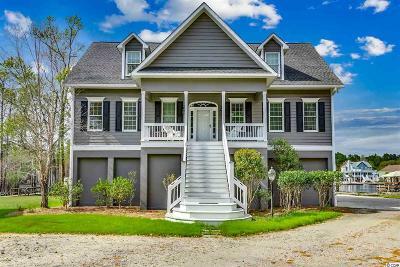 To the left, you will find 2 spacious master bedroom suites boasting of ocean views each with French doors opening onto a covered front porch. Down the hall there is a bedroom with a private bath and at the end of the hall, you will find 2 bedrooms with private baths and private access to a covered rear porch. Upstairs you will be awed by the home's massive living area with lots of windows providing awesome ocean views and an abundance of natural light. This living area covers a spacious family room, 2 large dining areas opening onto a covered front porch and a fully equipped kitchen boasting of a large breakfast bar with plenty of seating. Just off the kitchen, a wide hallway leading to a back porch provides a large pantry, a half bath and opens into a rear bedroom with a private bath and private access to the covered back porch. A bedroom on the south side of the home offering a private bath with private access to the rear porch completes the floor plan. The inverted floor plan assures awesome views in the main living areas of the home for all to enjoy! The covered porches front and back offer ocean breezes, endless views and extended living areas. Underneath the home, there is an attached storage closet, a picnic area and plenty of room for parking. The heated pool provides a place to relax in the sun, enjoy your favorite beverage or take a dip anytime of the day. No worries, no family members were forgotten! The grassy area behind the pool will prove to be a great place for your pets. Considering the property's location and all it has to offer, it is clear that 221 N Waccamaw Dr., Awesome Views will be a great purchase. Make it your second home. A go to place for this summer and the years to come whenever you like or buy it for an investment property and enjoy it when you can. Don't delay. Call me or your Relator to set up an appointment today! Directions: From Business 17 In Garden City Beach, Turn Onto Atlantic Avenue Toward The Beach. At Stoplight Turn Left Onto N Waccamaw Dr. 221 N Waccamaw Will Be On Your Left. Please See For Sale Sign In Yard.